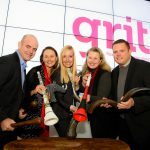 Would you like to tell our readers more about Grit and its activities? 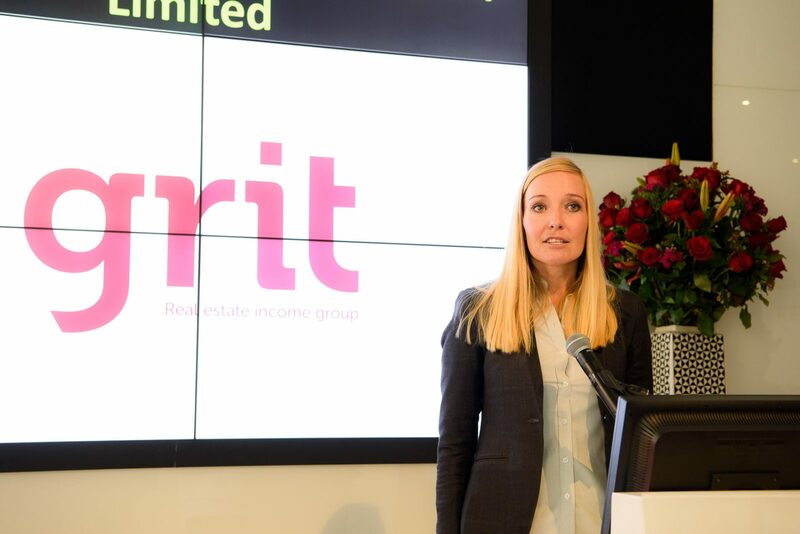 Grit is the largest Africa focused real estate income group listed on the Stock Exchange of Mauritius and in Johannesburg. Our focus is predominantly on providing real estate solutions to international, blue chip tenants operating in emerging and frontier markets on the continent outside of South Africa. We are first and foremost a proudly Mauritian company. We were the first international business to trade in rupees on the SEM and for us it was only logical that local market participants had greater access to investment opportunities in our local currency. Trading in the shares is very important for investors and so far the support has exceeded our expectations. We currently operate in Mauritius, Kenya, Mozambique, Zambia and Morocco with our head-office in Grand Baie, Mauritius. The company has grown tremendously in the three years since its creation, not only in portfolio size but also in people – we now employ 55 staff members across operations – of which approximately a quarter are Mauritians. We are an income distribution group. At a simplistic level, it means that we take out debt to finance approximately 50% of each asset we buy. Because these assets are under long US dollar or Euro-based leases, banks are negotiable on the cost of debt. We pay back only the interest portion of these bank loans (and refinance the original debt at favourable rates) to pay out a US dollar distribution to shareholders every six months. Because of the income in US dollar, the predictability of income streams (based on the lease contract) and high-quality tenants, our investment case is particularly attractive to those seeking regular, hard currency income, such as pension funds. Grit has recently paid out its sixth consecutive US dollar dividend and target a dollar yield in excess of 7%. Listed property has proven itself as an ideal asset class for investors saving for retirement in an investment vehicle that is sheltered from tax (like a living annuity or provident fund), as well as for providing an inflation-hedged income in retirement. The combination of a relatively high initial income yield and inflation-beating distribution and capital growth allows investors the opportunity to maximise total returns through time. Instead of just relying on capital appreciation or an income yield to generate their returns, investors in listed property can enjoy both sources of return as well as the benefits of compounding the income if it is reinvested and not consumed. Grit was until recently known as Mara Delta Property. What has prompted this rebranding? Yes, we had a fantastic launch in Port Louis on the 6th of June and we’re very honoured with the large number of attendees! The rebrand follows our successful and well-supported capital raise of US$121 million concluded earlier in June this year. This changed the size of Grit completely – our gross portfolio value now stands at US$ 600 million with 19 assets. (Three years ago, the company started out in Morocco and Mozambique with a portfolio valued at US$141 million). Earlier this year, the consortium represented by The Pivotal Group Limited (a JSE listed company that merged their Africa operations with Delta Africa’s in 2015 to form Mara Delta) dissolved following their acquisition and delisting in South Africa. The capital raise and corporate action provided us with a unique opportunity to establish a brand that represents our current reality but also our future growth ambitions. Since your entry into Mauritius, the group has been quite active in diversifying its portfolio into the hospitality property market. What are your main accomplishments, and what factors are behind this strategy? Diversification is definitely a priority of ours as we aim to provide our investors/shareholders with exposure to multiple asset classes in multiple jurisdictions. Overexposure to a particular asset class or jurisdiction does come with an element of risk. The Beachcomber and Lux acquisitions have allowed us to add a new and exciting asset class to our portfolio, while still remaining in line with our investment criteria of long-term leases in hard currency with reputable blue-chip counterparties. From a risk perspective, we have assumed no operating/hospitality risk and both deals are backed by corporate guarantees. These two deals have piqued a lot of interest in the market from the hospitality sector as well as other sectors wishing to explore and enter into similar-type transactions with us. As such, these deals have opened up additional pipeline for us to boost dividends and grow further. Fundraising remains one of our biggest focus areas. We currently work with nine different banks, including Afrasia and State Bank of Mauritius. If you ask about factors behind our strategy, I think tenacity is a word that jumps to mind straight away, as well as collaboration. 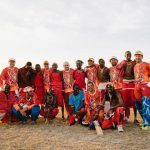 We have formed long-term partnerships with funders, tenants and regulators in the countries where we operate and our success to date would not have been possible without their support. Do you believe that Mauritius has the right arguments to attract MNCs into the country? Yes, absolutely! The comparative advantage that Mauritius offers is second to none. Mauritius has an excellent legal framework and the Privy Council adds further credence to an independent judiciary – an important consideration for a foreign investor. The talent pool available in the country and the quality of its high calibre professionals make Mauritius a unique platform for our African ventures. As we shall continue to expand our African footprint, we shall continue to raise capital. Mauritius is well poised as it hosts a large number of world-class banks and with its attraction for global business, it has attracted a large number of funds which are Africa centric, rendering fundraising more attractive. The Mauritius Board of Investment is doing sterling work in promoting ease of doing business in the country and connecting foreign investment capital with local opportunities. The strategy of the Government is to position Mauritius as a gateway to Africa for investors. What is your assessment of this strategy, and do you believe that companies like Grit can benefit from the prospects that exist in Africa? As a company focusing on an Africa role play, there is no better jurisdiction that offers the same quality of comprehensive services and comparative advantages than Mauritius. It also has Investment Promotion and Protection Agreements with 23 African countries. These were some of our main considerations before we established our head office in Grand Baie and moved our listing to the SEM. These qualities attract both corporates and countries with an interest in Africa, such as India, China and Hong Kong, positioning Mauritius as a gateway into the continent.